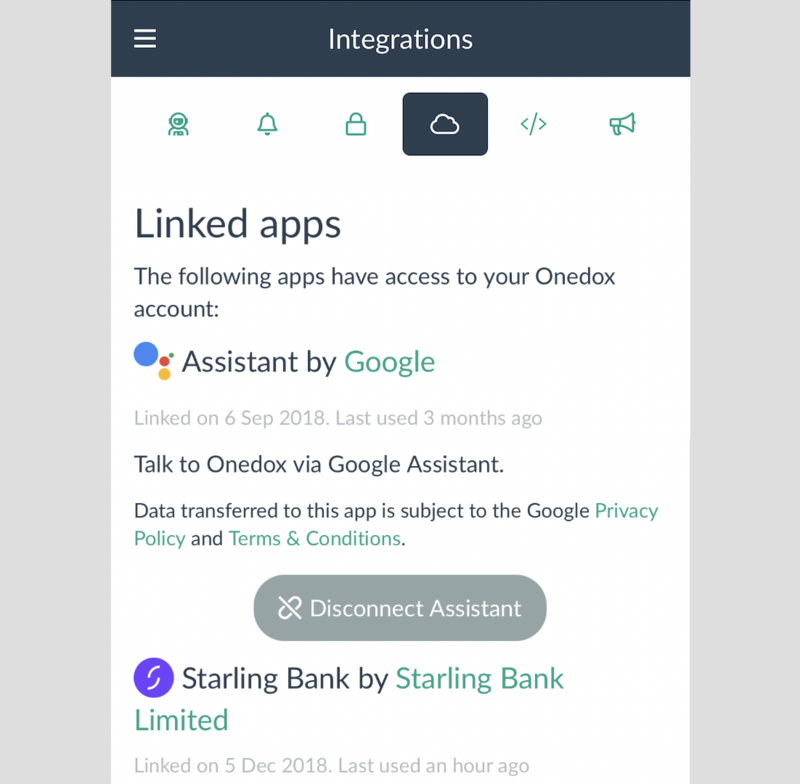 To manage the third party apps that you have granted access to your Onedox account navigate to the Integrations screen from the main menu in the app. Link to the website of the third party app owner. Links to the T&Cs and Privacy Policies for the third party. The date that you authorised the third party to access your data. When the third party app last accessed your data. There is a button that you can press to revoke access so that the app can no longer access your data.